Thinking of buying a training plan to help you achieve your goal? – click here to view my catalogs and hopefully join my growing number of satisfied athletes below. “Yesterday I did the 1/2 IM Liuzhou and came second in my age group (65-69) in a great time(for me) of 5.39. I missed a Kona spot by 7 minutes but got the spot of 1/2 Nice world championships in September. I am thrilled!!! “I can’t say enough about Coach Steve and his training plans! of distances when I was training for a half several years back. program, rather than just skipping workouts all together. “Got an excellent (beginners) IM programme off (Coach Steve) via Training Peaks: Easy to follow prescriptions for endurance, threshold and higher intensity sessions across all three disciplines. It’s got comprehensive instructions for swim drills, stretching for before/after the bike and how much (by duration) S+C work to thrown into the plan which is really useful as a novice. The plan progressively banks up fitness and strength over the months – I can see my fitness improving gradually week on week and the built-in step-back weeks are helping stave off injury and fatigue. The plan has taken the guess-work out of my training so I’m getting consistently stronger and faster. A GREAT investment and better value for $ than any of the tri gear/gadgets I’ve bought! . Experience counts. “I purchased a plan on TrainingPeaks from Steve for my first Ironman race coming up later this year and so far am very impressed with its structure, variety, and detail. Steve has also been very quick to respond to any queries or questions I have. “Smart Endurance Solutions Made me an Ironman 2018!!! 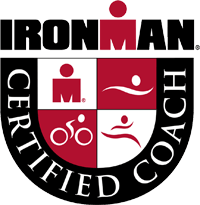 “I just completed my first Ironman after buying your training program. I didn’t really hit most of the training on the days but hit what I could week to week. Had a few mechanical issues on the 140.6 so easily could have gone faster but with my minimal training I’m pretty happy with the results and still have lots of room to improve. “Coach Steve has been coaching me this year, he has delivered a quality personalised training and recovery program that allows me to maintain a healthy work, life AND training balance. Steven is by far the most attentive coach I know. Feedback on sessions can be almost instant, there are times when there are comments coming in via TrainingPeaks or WhatsApp before I have realised a session has been uploaded. Most of all Steven’s enthusiasm and love for the sport comes through to his athletes, this makes all of the hardship fun. “I really do appreciate your help with my strength training! It’s difficult to find a healthy balance with strength training and triathlon training. I know I need strength and conditioning to rehab my body and prevent me from getting injured further, but I also don’t want my muscles to be too sore or tired to perform in key endurance sets or races. This plan is easy to understand, well thought out, and conducive to strengthening your body to complement your normal endurance training. All exercises are ones that will benefit you in the sport, rather than just going to the gym and throwing weight around. 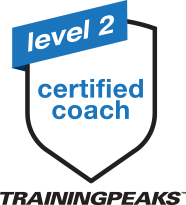 “Since we teamed up your coaching and advice has made a major difference & improvement to my training. Your analysis has highlighted instances where I was overtraining, brought a focus and rationale to training in the correct HR zones which has developed my endurance. Your coaching has also introduced proper periodization to my training. Crucially having you coaching me has taken away the usual second guessing that goes with setting one’s own training schedule. On the journey I have found that you listened well to my particular circumstances and been flexible and adaptive to suit my busy worklife. TrainingPeaks played a key role here also allowing me to lay out my work commitments in advance and you could tailor the training load and schedule to fit. “Just by way of saying thank for being my coach during my time leading up to the Ironman Triathlon in Barcelona in Oct 2016. “I’ve been working with Coach Steven as my coach since late 2015. He’s has a great flexibility to his approach which really suits any Athlete’s personal circumstances. Since he has been my coach I have achieved a number of personal bests at various distances, also I’ve learn’t a lot about the sport outside of the day to day training, understanding what to eat prior to a race, also how to prepare myself physically & mentally on race day.